Start searching for your favorite memories. 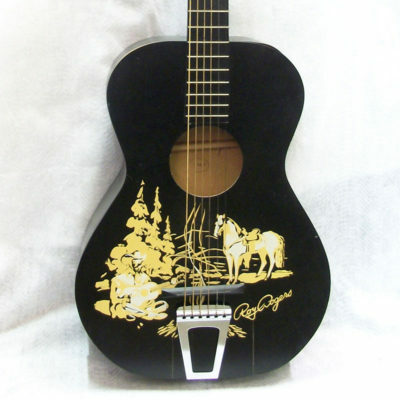 One of my favorite guitars as a child was this black and white painted “Singing Cowboy” guitar. Gene, Roy and many of the cowboy movie stars were great role models. These guitars were sold by Sears & Roebuck from 1954 through 1958. 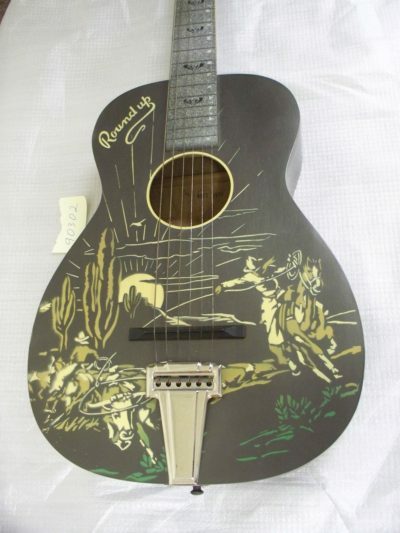 All wooden cowboy models sold by Sears were manufactured by the Harmony Company of Chicago. 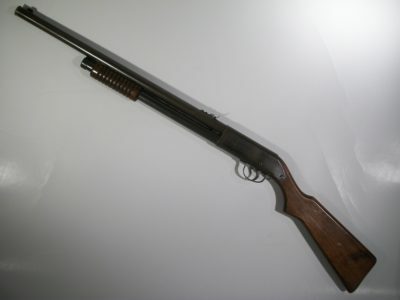 We are in the process of adding toys into our online catalog. 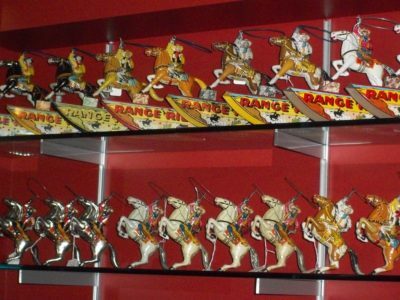 Take a walk down memory lane and peruse our collection of vintage toys.